Mary MacLane lived the dream, as we say nowadays. At least, in the beginning, she did. In Butte, Montana, where she grew up, she was just a bright girl in high school. She wanted to go to Stanford, but her stepfather spent the money that had been set aside for her education. She made the fields her world and wrote copiously in a notebook. What emerged was a long, piercing self-examination, about her frustrations with her family, as embodied by six toothbrushes (“Never does the pitiable, barren, contemptible, damnable, narrow Nothingness of my life in this house come upon me with so intense a force as when my eyes happen upon those six tooth-brushes.”). 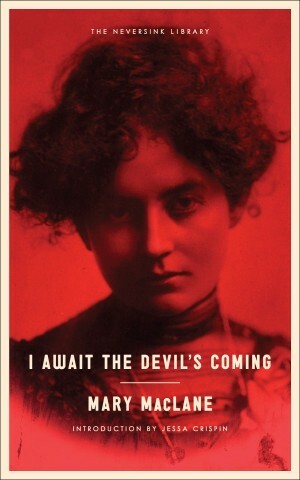 And the frustrations of feeling attracted to, you know, the Devil (“Think of living with the Devil in a bare little house, in the midst of green wetness and sweetness and yellow light — for days!”). She copied out the results and sent the manuscript to Chicago, where it landed in the slush pile of Stone & Company, on a Saturday in late April. The company’s reader, a woman named Lucy Monroe, adored it. By Thursday it was off to print; another couple of months and the book was selling quickly. Girls of the age MacLane had been, when she’d written the book — 19, just on the edge of the world — related to it particularly (there were reports it inspired some of them to suicide). And MacLane found herself a train to Chicago to meet the grand fate of a famous authoress, whatever it was. It was 1902. She was 21. The figure of the New Woman, who so preoccupied James and Ibsen, was still only appearing by fits and starts in children’s literature. Alice had made it to Wonderland a few decades before MacLane was born, sure, and Jo March had long ago married her strange Professor Bhaer. But MacLane was more or less Dorothy Gale’s precise contemporary. Anne of Green Gables would not be around for another six years, Meg Murry of A Wrinkle in Time was more than a half-century away. I give you that bit of history because I don’t know who I would have been without reading those books a young girl. The world would be all sky, all sea, with the map I’ve followed well into my adult life only half-drawn (and I’m not being remotely hyperbolic). I can’t for one minute imagine what it would have been like to be my own cartographer. All caveats about the reanimation of the dead aside, I think MacLane could hardly have known what she’d bargained for by publishing that first book. That it did not turn out as she’d hoped seems indisputable. 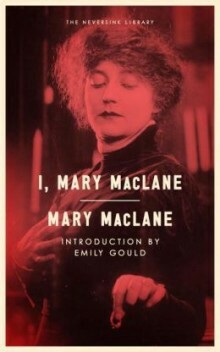 In her last book, published in 1917, she declared: “I am Mary MacLane: of no importance to the wide bright world and dearly and damnably important to me.” She lived only 12 years after that, most of them in hiding from the world. And she’d never publish another book. I wonder as I write this Portrayal if there will be one person to read it and see a thing that is mingled with every word. It is something that you must feel, that must fascinate you, the like of which you have never before met with. It is the unparalleled individuality of me. About Sylvia Plath, Janet Malcolm once observed, in her dry but shattering way, that, “We all invent ourselves, but some of us are more persuaded than others by the fiction that we are interesting.” There are many who would say the same of MacLane. Passages like the one here elicit uncomfortable feelings. One begins to feel like a party guest trapped by someone who lives in a state of Platonic irony, always saying the exact opposite of what she means. Or alternately, of being back in a prison of adolescent worries, the ones that fade rather than disappear altogether. Reading MacLane I felt less convinced that MacLane found herself interesting than that she was anxious to convey her high degree of interestingness to her readers, at any cost. A bit more history: the first person to become enchanted with MacLane was that slushpile reader Lucy Monroe. In her mid 30s and unmarried, Monroe lived with her sister, Harriet. Harriet was still in the process of becoming that Harriet Monroe, a leading figure in modernist poetry, a woman who would in another decade found Poetry magazine and publish the early work of Ezra Pound and T.S. Eliot. It was with this pair that MacLane had been invited to stay in Chicago, after the publication of the book in a big imposing mansion of a townhouse on Astor Street, the likes of which did not really exist in turn-of-the-century Butte. Here MacLane was already honing the talent she’d display in the coming months for giving the perfect quote. In a pre-soundbite age she already knew how to draw blood in one direct sentence. She knew to call Chicago “boring,” telling the reporters who helped her right into a cab that the enterprise looked like a “kidnapping, but I am not afraid, if I am alone in a cab with three men.” She could be blithe and funny, telling those erstwhile kidnappers, “I don’t know, we are all out for the dough.” But her sharp style of conversation formed the spine of every article about her. Do we take MacLane’s word for it? Oughtn’t we to? In memoir, it’s sometimes said, the primary goal is emotional honesty. And in a way it seems the only person who can honestly (whoa) testify to their emotional truth would be the person herself, yes? It’s always been a curious thing to me that many people consider “emotional honesty” a fixed and knowable quantity, when there are so many testimonies to “not knowing how I feel” about things. It goes back to Hamlet’s self-identified prison, the place where “there is nothing either good or bad but thinking makes it so.” And even dramatizing the thought process, which is arguably what stream-of-consciousness memoirs like MacLane’s do, is a certain kind of lie. Inner monologues are not inherently readable things. The readable things are narratives. My point is here is not that MacLane was dishonest, though. It is, instead, that we cannot possibly know what she was, and so predicating praise of her book on its “rawness” or “honesty” is to pretend that it is something other than a book, a pose, a performance, at best a half-truth about inner life. It gives her both too little and too much credit. 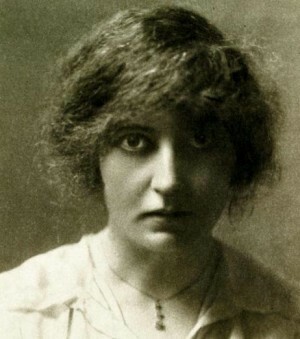 Here Mencken was writing about MacLane’s third book, I, Mary MacLane, published in 1917, which included some fulsome accounting of her adult sexual escapades. Apparently audiences did not find MacLane as captivating in her 30s. The public seemed uninterested in reports from the itinerant life of someone once-famous. In the time since the publication of My Friend Annabel Lee had garnered little critical response and fewer sales, MacLane had been floating back and forth between Massachusetts (where she could not persuade Radcliffe to admit her) and New York. Then for a long stretch following an illness from scarlet fever, she moved back in with her mother in Butte. She wrote newspaper pieces, but only intermittently. For most of the intervening time she was broke, borrowing money from friends like Lucy Monroe, harassing the publisher for back royalties. Yet while I, Mary MacLane’s sales were bad, it still landed her a commission for a series of articles to the San Francisco Chronicle, and attracted enough renewed support that she got to make a movie, now lost to time, called The Men Who Loved Me. She wrote the screenplay and got to star in it. It was produced by a company that had once done the Chaplin films and now was in decline. In the end it opened to tepid reviews, and it’s not clear that MacLane ever saw any money from it. From there things went bad to worst. First MacLane skipped out on a hotel bill in Chicago, which her friends later seem to have settled for her. Then she was charged with stealing her wardrobe from the set of The Men Who Loved Me. She began to lead an itinerant life in Chicago boarding houses. The Monroe sisters tried to keep an eye on her but it was of no use; MacLane, stubborn, stopped giving them her address. When she turned up dead in 1929, in one of those rooming houses, the cause was said to be tuberculosis, though the medical examiner listed it as “natural causes.” She had only been in regular contact with one friend, an African-American photographer who the press routinely mistook for her “maid,” who confirmed the tuberculosis. Her death was widely announced in the press. In the classic MacLane pattern, every story told of her being forgotten in the lead paragraph below a headline that spelled out her name in enormous type. Even Publisher’s Weekly ran an obit. Dying alone and unwanted in a cheap hotel is a particular kind of feminine nightmare. When I was going through the clippings for this piece I began to think, of course, of Edith Wharton’s The House of Mirth. I often do, when I’m writing or thinking about what I’ve come to call the Weird Girls, the young women who, like MacLane, and the nature-obsessed diarist Opal Whiteley and the child novelist Barbara Newhall Follett, were different, and somehow concluded that their only option was to disappear. They fall right off the map. I have tried hard, and life is difficult, and I am a very useless person. I can hardly be said to have an independent existence. I was just a screw or a cog in the great machine I called life, and when I dropped out of it I found I was of no use anywhere else. When Selden finds Lily dead, he finds her papers too, ordered bills and accounts, every debt paid. Which is how people found MacLane, in a way: the papers reported that her press clippings were strewn about her, though we’ll never know if that was a press embellishment designed to give the story a little bit of color. 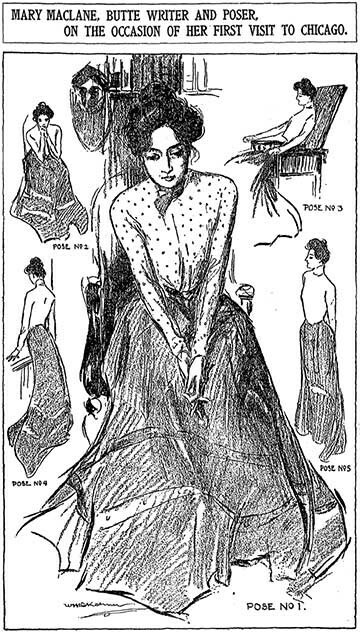 As it happens, The House of Mirth was published in 1905, coming into the world just as things, after the first great success of Mary McLane, were beginning to come apart. Michelle Dean writes in a lot of places, now. Follow her on Twitter.